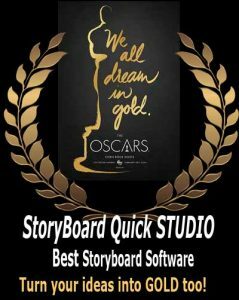 We know that time is money, so we’ve developed the quickest storyboarding software on the planet! StoryBoard Quick has several tricks for the Frame Window that will help you storyboard faster than ever! Some of these time-savers are accessible through our extended scroll wheel features. Select a Character or rotatable Prop in the Frame Window and use your scroll wheel to quickly rotate your Character or Prop into the different angles available! By adding keyboard keys, you can access more fast features. Select an object in the Frame Window and hold down the Shift key while using your scroll wheel to spin your object into any orientation. Select an object in the Frame Window and use the scroll wheel while holding down the Command (Mac) or Control (Win) key to zoom in or zoom out on that object. 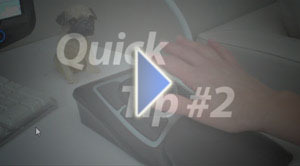 Watch the video to see StoryBoard Quick in action!